This past weekend I got to enjoy being with a room full of folks who completely understand the value of native plants to native wildlife. They "get" the concept of co-evolution, the way that native pollinators and native plants have evolved to be mutually dependent. 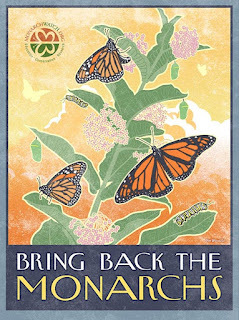 And, of course, the popular issue of supporting Monarchs eventually came up because we all now know these beautiful icons are also dependent on a specific host plant. 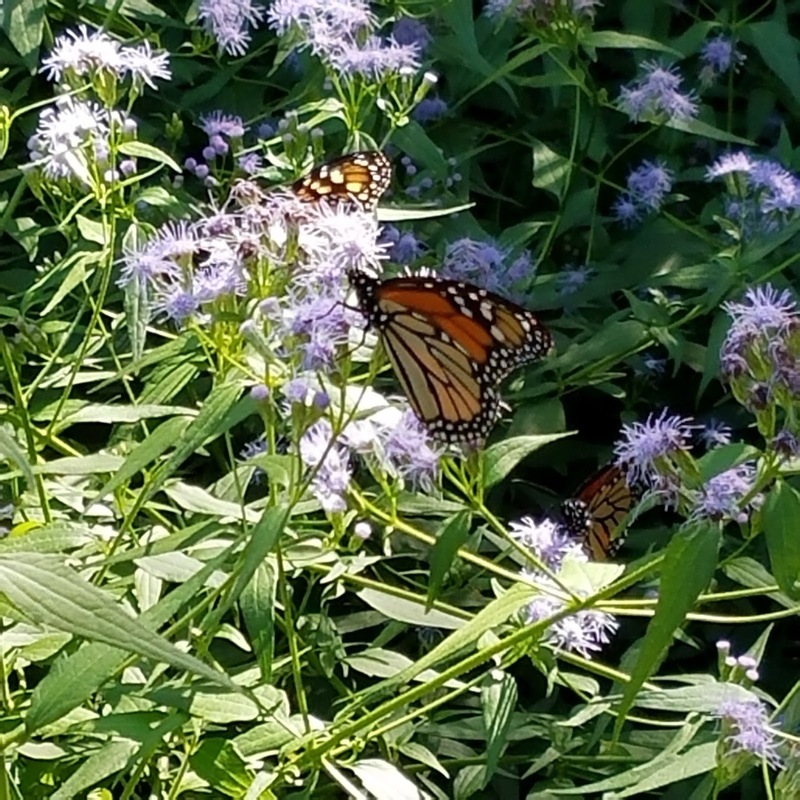 But when the topic of planting milkweed for Monarchs came up, our discussion underscored something I find myself repeating over and over, and repeated yet again to this experienced group. When several of them were surprised, I decided to repeat it here as well. Remember, if you hear or see something repeated three times, it's going to be a test question. As central Texans who find ourselves smack dab in the squeeze point through which all Monarchs east of the Rockies travel during their migration, we really need to focus on providing nectar sources during the fall. Yes, nectar sources, not milkweed. Monarch adults expend a LOT of energy during that long trip to Mexico. That requires ready access to plentiful sources of carbohydrates and amino acids along the way. These are provided by the flowering plants we generally consider beneficial to both bees and butterflies. In general, Monarchs suspend reproduction until sometime around February to avoid depleting the energy stores needed to migrate the long distance required and survive the winter roost. To underscore the test question here, from August through December, they need all the nectar sources we can provide, as well as the shelter a variety of plants can supply, along any route they may travel south. The milkweed we've been programmed to plant will still be needed in the spring as they make the return trip. As up to five generations may be born on that migration back northwards, they'll need nectar sources again, but also the milkweed on which those generations depend. Yes, that's when we need to break out the milkweed. I already hear you saying, "But it's October and they're laying eggs. I'm seeing caterpillars eating that tropical milkweed I was told to plant." I have no doubt you have. But are you seeing eggs or caterpillars on any of our native milkweeds? I suspect you do not. They're all milkweeds, but there's evidence they don't affect Monarchs in exactly the same way. There is growing concern that tropical milkweed, Asclepia curassavica, may endanger migrating Monarchs for a number of reasons: (a) a disruption of reproductive diapause, resulting in extended breeding by migrating adults, (b) the presence of OE spores in plants that don't die back regularly in increasingly temperate winters, (c) insufficient food stores and freezing temperatures affecting caterpillars developing late in the season. While we wait for the experts to settle this issue, there are three simple things we can do. Right now you could check out the links included in this post and concentrate on making available a wide variety of nectar producing plants so Monarchs can do what? FEED IN THE FALL. Then, if you grow them, cut your tropical milkweed plants back to a height of about 6 inches sometime around Labor Day. CLEAR THE WAY ON LABOR DAY. 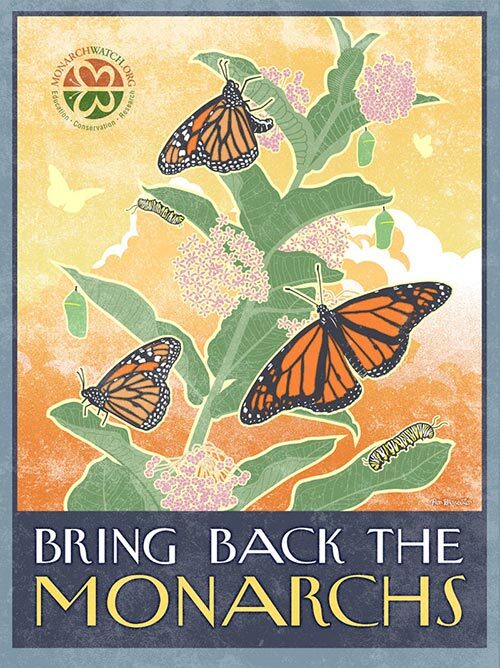 Around Valentine's Day, start planning the welcome back party because those returning Monarchs will be feeling frisky again. This is the time a good host will provide a full menu of host plants as well as a variety of nectar plants, meaning plenty to eat AND drink. The native milkweed seeds that you planted last year (you did that, right?) should start coming up and any tropical milkweeds you cut back around Labor Day will begin to put out new growth. Just remember, FULL MENU IN FEBRUARY. All material © 2017 by Vicki Blachman for Playin' Outside. Unauthorized reproduction prohibited. I’d love to be on a Monarch flyway. How wonderful to be able to help them along in such easy ways in Austin! Thanks, Gail. Coming from you, that feels like I might've gotten something right. As a gardener, you know "easy" is relative. But I did try to make the concepts simple so people could have some clarity about when milkweeds are really needed. Excellent post! I can't tell you how many people argue about that tropical milkweed. I'm sure you already know. Travis Audubon hosted a Purple Martin Colony visit this past Saturday next to the historic home of Laura Joseph. Laura started the colony 25 years ago, the product of a lifelong love of the little birds. The colony is tended, and carefully documented with daily data, by a group of dedicated volunteers called "landlords". Steve, the "head honcho" of this effort, was in attendance to answer our questions and give us a peek at these interesting birds. In February, the birds begin to arrive. The mating pairs will produce around 500 babies by mid-May, teach them to fly in the safety of the colony, then guide them to the larger migrating flock that draws thousands of sightseers each night to see them roost near Highland Mall. When we recently had to remove a mature Arizona Ash from our back yard, we went from a shade garden to one passionately caressed by the hot reach of the Death Star. A couple of plants curled up and died before they could adjust, but the resilience and flexibility of most truly surprised me. They've merely gotten a bad sunburn and the new foliage seems to be growing in tolerant of the increased sun. Having plants that are native or well adapted to our area must give them a healthy resilience in extremes. It wasn't just the plants that needed time to adjust. Mourning the loss of the tree and considering the changes ahead were a bit overwhelming to me, and I'll admit to being fairly grumpy for about a week. Finally I could see it as just another dang opportunity. Here's a peek at the good news that grew out of the bad. There are a couple of groups on Facebook where I lurk and occasionally dip my opinion into the fray. They're places where people with knowledge of unbelievable scope can be observed, deftly identifying this obscure native plant or that scraggly left-behind orphan found in the backyard of a newly purchased home. One such backyard orphan recently was posted in need of identification. If it were a native plant, two people on "Texas Flora" would've named it within minutes. Even the taxonomy of those impossible grasses is typically put to rest in seconds. Not so with this poor guy.